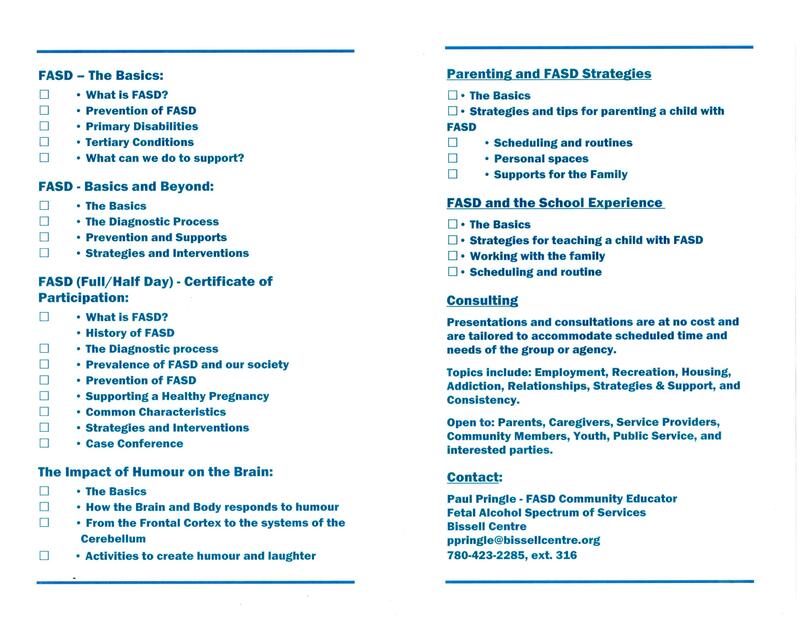 Are you looking for FASD presentation for frontline staff, parents/caregivers, community members? Bissell Centre’s FASS Program offers free presentations and consultations tailored to accommodate scheduled time and needs of a group or agency. Topics include Employment, Recreation, Housing, Addition, Relationships, Strategies & Support, and Consistency. These services are open to Parents, Caregivers, Services Providers, Community Members, Youth, Public Services, and any other interested parties.